Oh yeah, Erzulliestas! We will be serving you some hot and fierce plus size fashion at The Fashion Feast later! 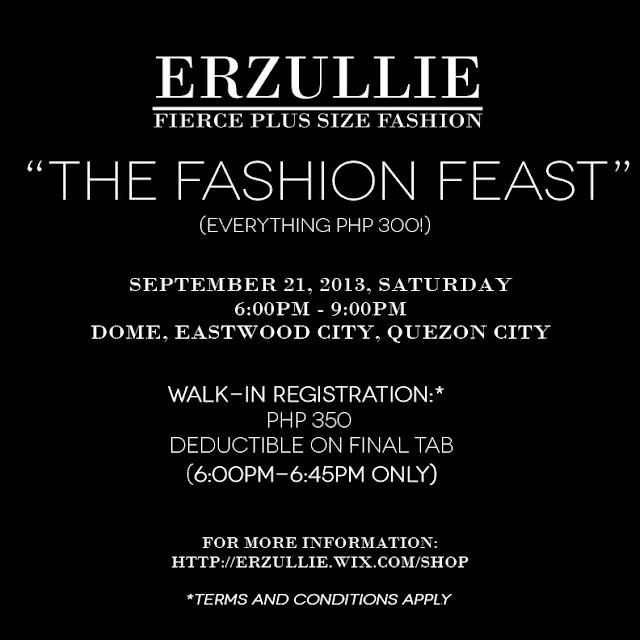 We are so excited and thrilled to see and serve you ladies (September 21, 2013, Saturday; 6:00pm-9:00pm) at DOME, Eastwood City, Quezon City. Just go inside the café and search for Erzullie’s big tarpaulin. You'll easily find it!